Things weren’t looking so upbeat as the series neared its end. 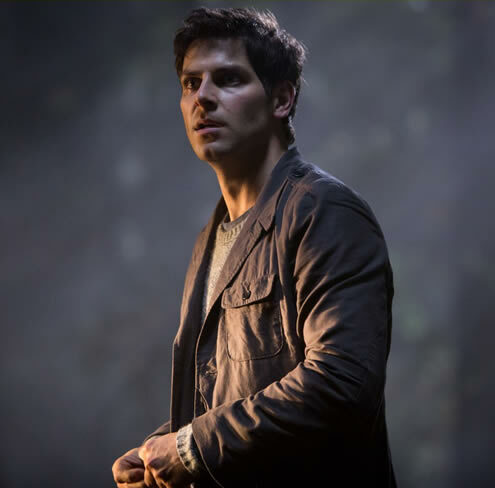 The green-eyed ghoul otherwise know as the Zerstorer killed off everyone except for Nick Burkhardt (David Giuntoli), aka the chief Grimm. However, courtesy of the beast’s magical staff, everyone was resurrected when the creature bit the dust. Then, in the final scene, the children of Nick, girlfriend Adalind (Claire Coffee) and Renard (Sasha Roiz) had grown into demon hunters themselves.There could only be a few “Grimm” Season 6 spoilers from lead actor David Giuntoli at this stage, as the NBC fantasy drama has just aired its Season 5 finale on May 20, or merely two weeks ago. 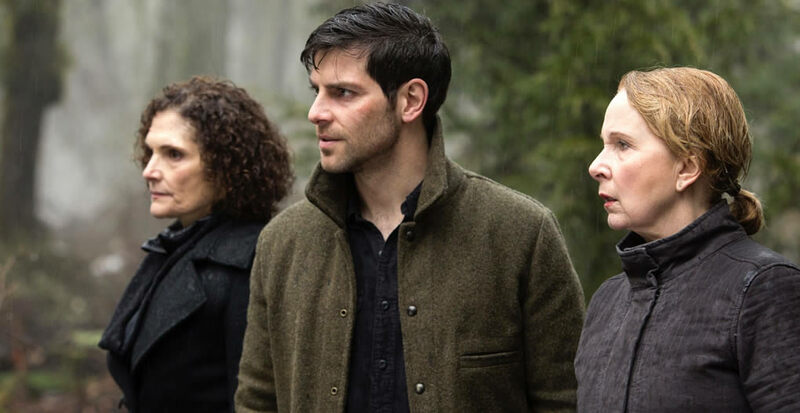 Still, Giuntoli has a few things to say about his character Nick Burkhardt, as well as the return of Bitsie Tulloch’s Juliette and the complications with Claire Coffee’s Adalind. This update contains major spoilers from the “Grimm” Season 5 finale and “Grimm” Season 6. In the ending scene of the fifth season finale of “Grimm,” Conrad Bonaparte (Shaun Toub), a supposedly very powerful Zauberbiest, dies in the hands of Portland Mayor Sean Renard (Sasha Roiz), just when Bonaparte was about to off Nick. In effect, Renard saves Nick. The real Zauberbiest killer, however, is Diana (Hannah Loyd), the little Hexenbiest. How would Renard play it from there? Would he pretend to be a hero after their brawl in the precinct, or would he come clean about her daughter? Giuntoli has recently given a clue. Sasha Roiz seems to suggest the same thing. His character Renard is going to stay a Black Claw operative because that’s where he would be powerful. “I think he’s one of those poor souls who will never be satisfied and will always be looking for another opportunity,” Roiz told TV Line. Between Renard leading the Black Claw and Juliette coming back in his life, Nick has a lot to process when “Grimm” Season 6 returns later this year on NBC. Giuntoli has taken up another role, though. He is going to direct an episode next season after five years of observing the directors he has worked with on the show. 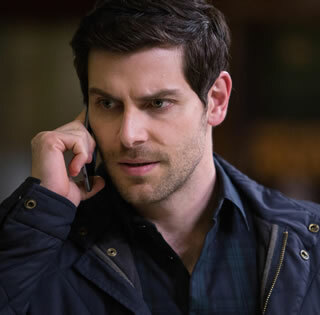 There are 13 confirmed episodes in “Grimm” Season 6, but Giuntoli said there could be some additional episode orders. What he knows is that if the sixth season will be the last, the show’s writers would be able to give the fans some closure. “Grimm” Season 6 is expected to return to NBC later this year. It premiered in October in the last three seasons, as well as its first season. In an exclusive interview with Syfy Wire, actor David gientoli said NBC’s “” green” “only has three episodes left, and that Nick Burkhardt, the troubled cop who fought evil or troubled wiesennes for six seasons, won’t have a” “fairytale ending” “when the show finally ends. Grimm’s fairy tales AIRS every Friday at 8 p.m. Et on NBC. “Our show is a fairy tale show, not a real fairy tale. Our ending is a fairy tale ending, not a real fairy tale ending, but it’s a clear ending, “Giuntoli said. Giuntoli, who is already engaged to her real-life co-star Bitsie Tulloch. David: that’s an interesting time, Cathy. Both are answers. The minutes ticked away. How time flies! Life will go the fastest. This is deep… What do you think of Nick’s starting and ending? David: I think it’s about fitting. When he started, his first conversation with the test pilot was with his aunt Mary, who told him, “this is what happened. This is your life. You can’t be with Juliet. She’s in trouble. After six seasons, it’s true that everyone I love is in danger. You can’t be green and a cop with your family. I think looking back on the past season, we are seeing that prediction come true. What do you think of the story that has already happened? Did they surprise you? David: I can’t tell you when I ordered the pilot. I could turn into a zombie any minute. Most of the story surprised me. Order grimm season 6 dvd from Australia online dvd shop. Product Condition: Brand new, factory sealed. Format: Region 4 for Australia DVD players. Item Location: Sydney, Australia. Shipping Charges: Free shipping! 30 days return & refund, seller pay shipping fee. On the other hand, what has been your biggest surprise this season? Something you didn’t think of? David: I think the arrival of the last season is my biggest surprise. We’re still going, and that’s good. How many shows can do that? Very few. David: I think the last episode was the biggest surprise, but I can’t say anything. What did you think when you read the last few words? David: all the actors are texting each other on our little screens, and we have a lot of emojis about each other. What stories do you think we’ll never see that you want to explore? David: that’s a good question. I can’t think of an answer for the moment. I was curious to know Monroe’s real name, her full name and the meaning behind it. Why would anyone catch up with green at this point? David: I think you’re looking at a cast that’s really in love. The core cast runs through the series, and these relationships continue to evolve, becoming richer and deeper, with better interactions between the characters. David: we’ll see. I just want to relax. To get married. Now I need a little life. I worked six long years in a row.